Preheat oven to 190C (170C if you have a fan oven like mine). I have a 6-space silicone cupcake tray with a heart pattern on the bottom which works with this recipe. It makes a cute cupcake shape and the melting middle makes it more special. Beat the butter until fluffy then beat the sugar into the butter until you can’t see sugar. 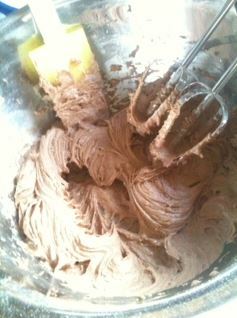 Sift the flour, cocoa powder and salt together into the mixture carefully and fold in. Add the milk to the mixture once it is a consistency the hand mixer can be used on it and blend everything until it is mixed together. Don’t over beat the mixture. Bake in the preheated oven for 20 minutes or until risen and firm to the touch. 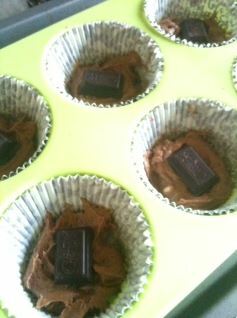 Leave the cupcakes for around 5 – 10min then enjoy while still warm! Amazing recipe. Thank you so much! I have not tried Askinosie’s cocoa powder and am thinking of ordering it from their website. I understand that this is one of the few powders made from the same beans that are use in the chocolate bars. Was that evident in the powder’s taste and would you recommend it based on your experience with it? I baked a cake recently and realised how much I hate dutched powders (would you dutch cacao used in a bar, so why is powder any different???). I guess I am looking for something that will make my chocolate bakes taste more like chocolate and less like candy. What are your thoughts on this brand? 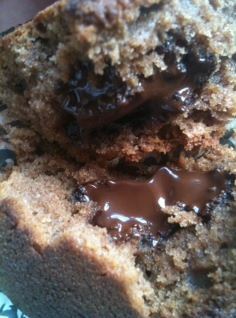 I think you have to use real chocolate to make bakes taste less like candy 😉 But Askinosie has absolutely no added sugar so when you use it, you need to be very careful on the balance. Any good quality powder will make things taste different so you do need to be aware of the difference. 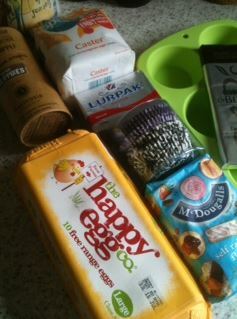 I’d absolutely recommend it but why not try a cupcake recipe first? I have a few 6 cupcake recipes on the blog.